Analog Way has appointed Philippe Vitali as Integration and Application Software Director. 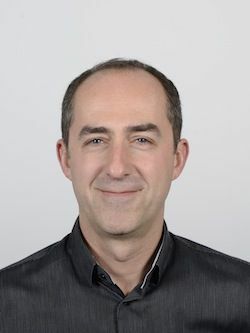 Philippe Vitali will manage Analog Way’s new R&D team dedicated to the development of accessories and tools for the integration of its lines of processors. Based in Analog Way’s headquarters near Paris, France, Vitali joined the company a few months ago to form and manage a new R&D team, working particularly on tools and other services to supplement its lines of mixers and seamless switchers. Vitali has a strong background in software development and team management, gained within leading global companies. Vitali and his team will work on the development of solutions to easily deploy Analog Way’s systems into automation and IT environments. This will include the creation of drivers enabling third party control, mobile applications to control the company’s devices, and remote maintenance solutions. In addition, he will also provide services to support integrators and consulting firms in the integration of Analog Way’s processors. The new Integration and Application Software team already released a complete series of drivers to facilitate the integration of its LiveCore and Midra series of mixers and seamless switchers. These systems can now be controlled through AMX and Crestron 2 and 3-series control systems. Packages are available online, with full documentation and ready-to-use samples.